Tumkur is a District Headquarters, situated about 70 km from Bangalore, the country's IT-BT centre, on Bangalore-Pune National Highway 4. 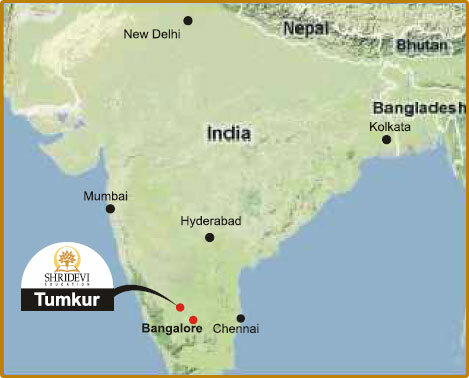 Tumkur is known as a hub of educational institutions.This academic city has been witnessing rapid development. Naturally, it is a fine blend of urban sophistication and rural delight. The city is well connected by road and rail. The city is cradled in the midst of hillocks and mountains. The city is also a tourist centre surrounded by historic places like Kaidala Temple, Devarayana Durga, Namada Chilume, Shiva Gange, Goravanahalli MahaLakshmi Temple etc.